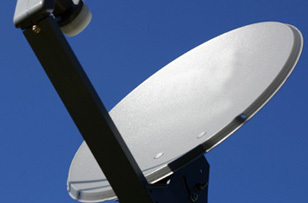 Bracknell Based TV Aerial & Satellite Fitting & Repair Services. Just take a look at homes and buildings in Bracknell and you’re likely to see satellite dishes and digital aerials everywhere. The town has embraced the digital entertainment revolution, big time. And Slough Aerials & Satellites is enjoying helping residents and workers stay entertained and informed. We can bring new satellite dishes to customers in Bracknell, as well as Sky, Freesat and other set-top boxes. Commercial outfits looking for systems that deliver a variety of services to different people under the same roof, should look to us to help plan, install and/or repair the systems. Pixel perfect pictures. Sharper sound. A big choice of channels. Just some of the advantages of having a top quality digital aerial up on your roof. 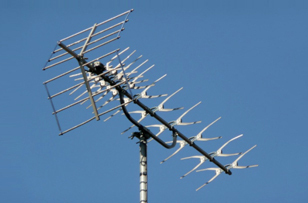 Whether you use it for TV or DAB Radio, our Technicians can help make sure your digital aerial keeps on delivering the services you expect from it. Call us in for repairs following storm damage in Bracknell or for new installations. WHAT ELSE CAN WE DO FOR BRACKNELL? CCTV INSTALLATION IN BRACKNELL – Keep watch on your property even when you’re not there (or fast asleep) Call us for a free consultation so we can assess your security needs and suggest the best systems for you. MOUNTING TVs TO WALLS IN BRACKNELL - Flush to the wall or on a moving bracket. You tell us how you want your televisions and our engineers can make it happen in your home or place of work. And they’ll make sure all the wires stay hidden too. AV INSTALLATIONS & REPAIRS– The technology exists to make home cinemas in Bracknell possible. Call us whatever technology you want to integrate at home or at work and we’ll make it happen. MULTI-ROOM OPTIONS – Introduce satellite TV and digital aerial services to more than one room at home or work. Just call us in to sort out the sockets and points. Ready 7 days a week – so if the weekend is the best time for us to come round, that’s when we’ll come round. 95% of jobs sorted on the same day – we not only aim to get to customers’ homes on the same day. We also expect to complete the vast majority of jobs on the same day. 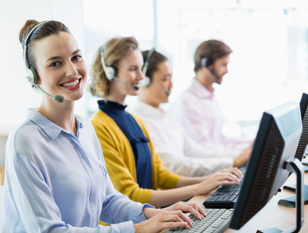 Always professional – get the best customer service from all of our team, all of the time. Value for money – our quotes are quick and the numbers on them always add up to great value for money. We’re independent – and that means you can trust us to give advice on satellite TV and digital aerials that’s always impartial. We’ll do it: many customers in Bracknell turn to us after other companies have refused their satellite dish installation or digital aerial repair job for being too high up or too dangerous. If this happens to you, you should call us too.